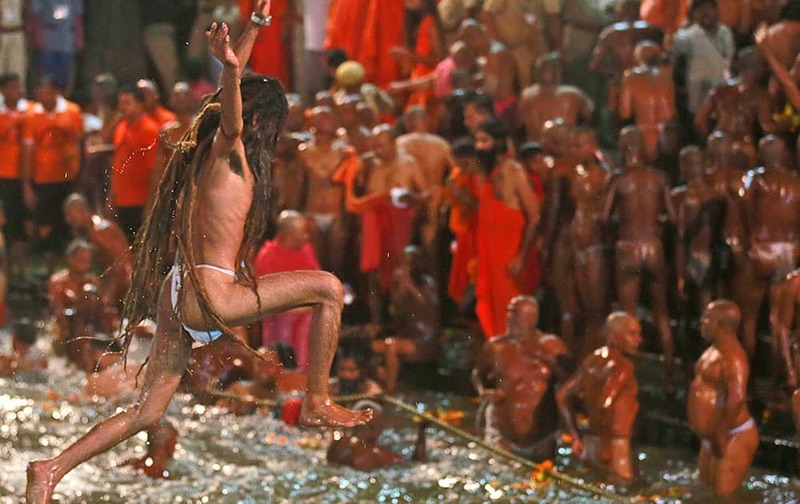 a Naga sadhu, or naked Hindu holy man, jumps in the Godavari River during Kumbh Mela, or Pitcher Festival, at Trimbakeshwar in Nasik, India. A Naga sadhu, or naked Hindu holy man, prepares to take a holy dip in the Godavari River during Kumbh Mela, or Pitcher Festival, at Trimbakeshwar in Nasik, India. 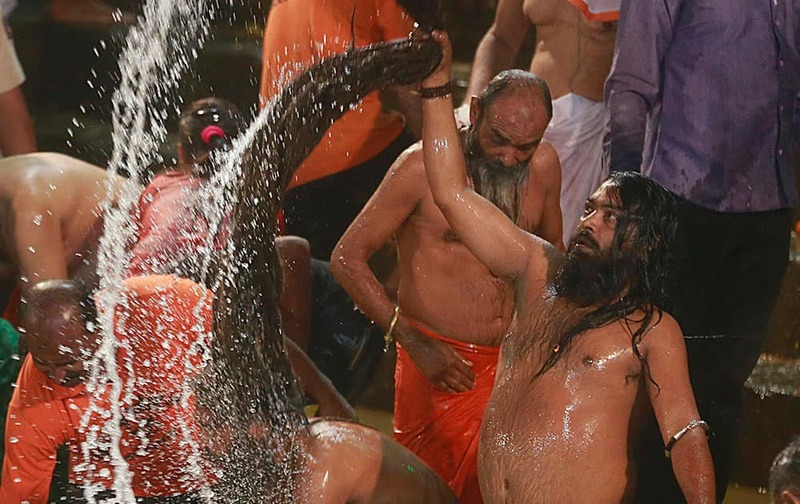 Naga sadhu, or naked Hindu holy men, take a holy dip in the Godavari River during Kumbh Mela, or Pitcher Festival, at Trimbakeshwar in Nasik, India. 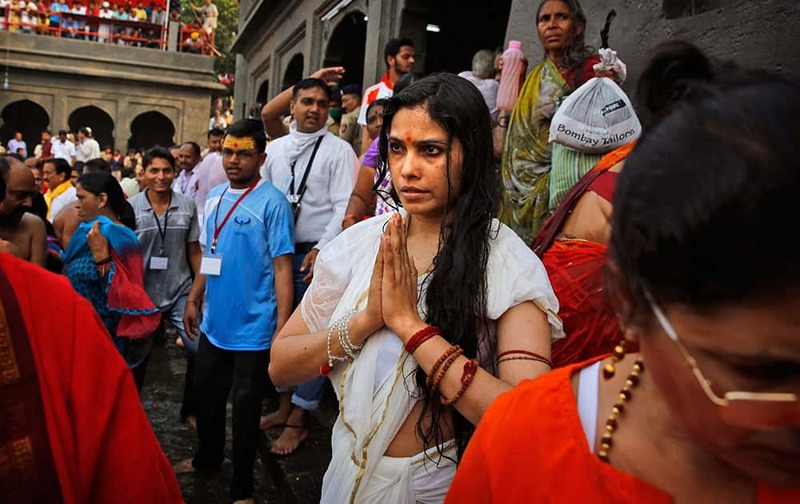 An Indian woman devotee prays after a holy dip on the second 'shahi snaan' or royal bath in the river Godavari during the ongoing Kumbh Mela or Pitcher Festival, in Nasik, India. 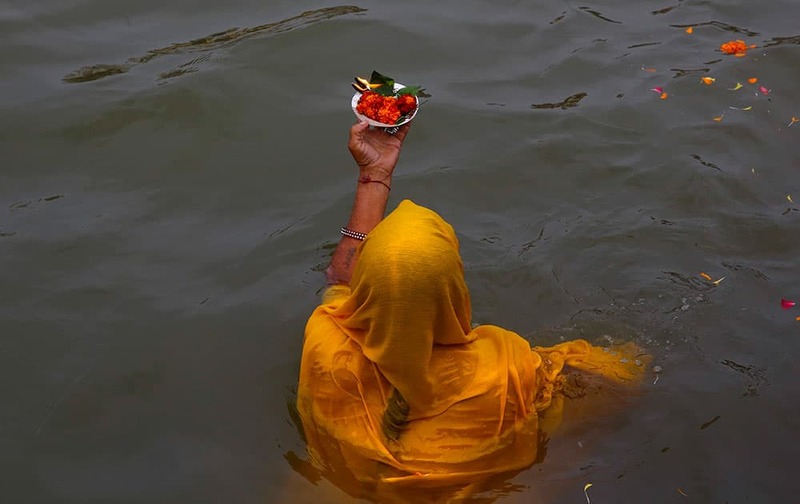 A family takes a holy dip on the second 'shahi snaan' or royal bath in the river Godavari during the ongoing Kumbh Mela, or Pitcher Festival, in Nasik, India. 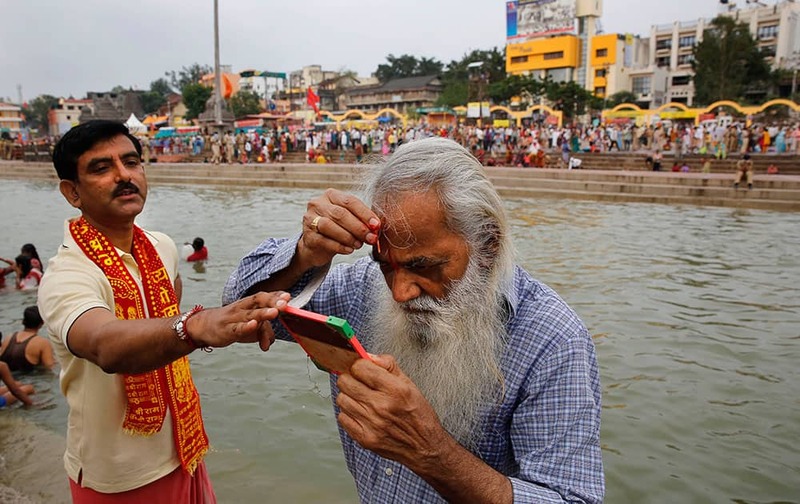 An elderly Hindu devotee applies a vermilion mark on his forehead after a holy dip on the second 'shahi snaan' or royal bath in the river Godavari during the ongoing Kumbh Mela, or Pitcher Festival, in Nasik, India. 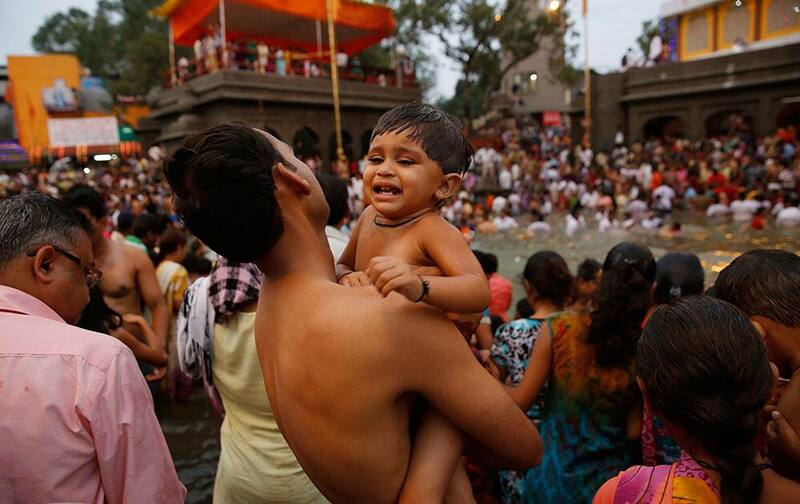 A father carries his son for a holy dip on the second 'shahi snaan' or royal bath in the river Godavari during the ongoing Kumbh Mela or Pitcher Festival, in Nasik, India.